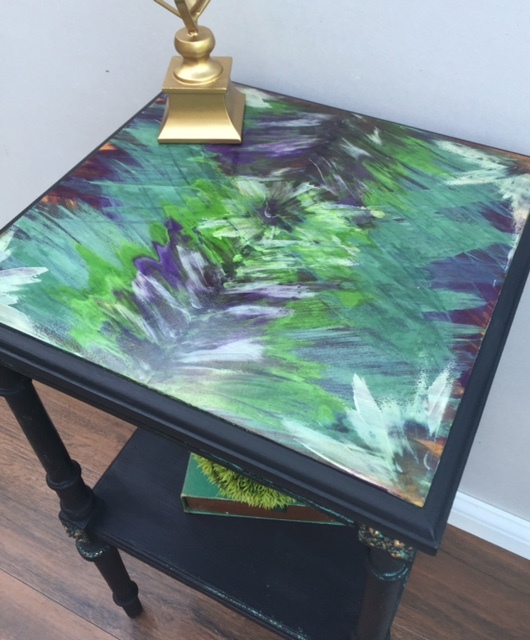 Beautiful finishes hand painted just for you to provide conversation pieces for your home. Life is too short for boring furniture. 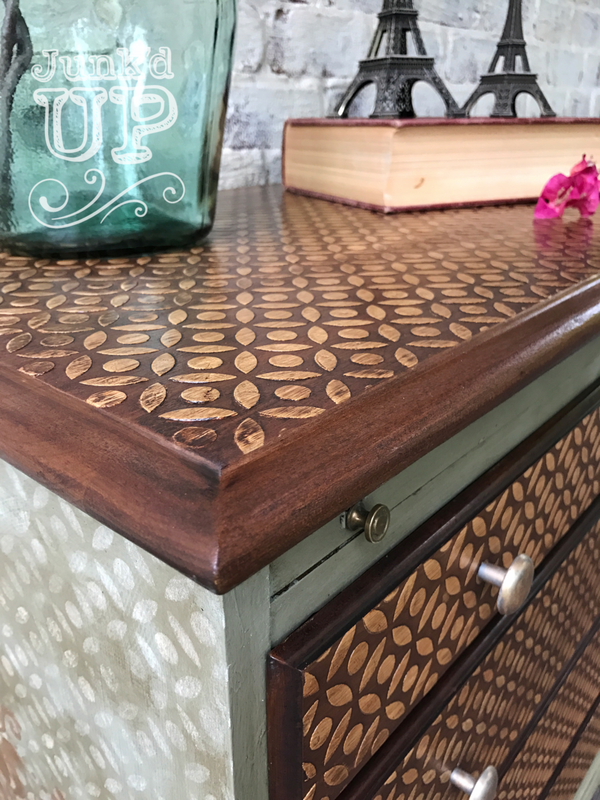 While I certainly can paint your furniture white, I specialize in artisan finishes including but not limited to stenciling, raised stenciling, decoupage, layered colors, and blended colors. I am an expert color mixer and can help you find the exact look you need to make your home your own. My client trusted me with a family heirloom. She requested a pale yellow paint complemented by a cherry stained top and mirror. After making adjustments for new hardware and fresh paint, we delivered. This vanity had belonged to my client since her childhood. She asked that it be given some love in order that it may be shared with her stepdaughter. What a thoughtful and loving gift. 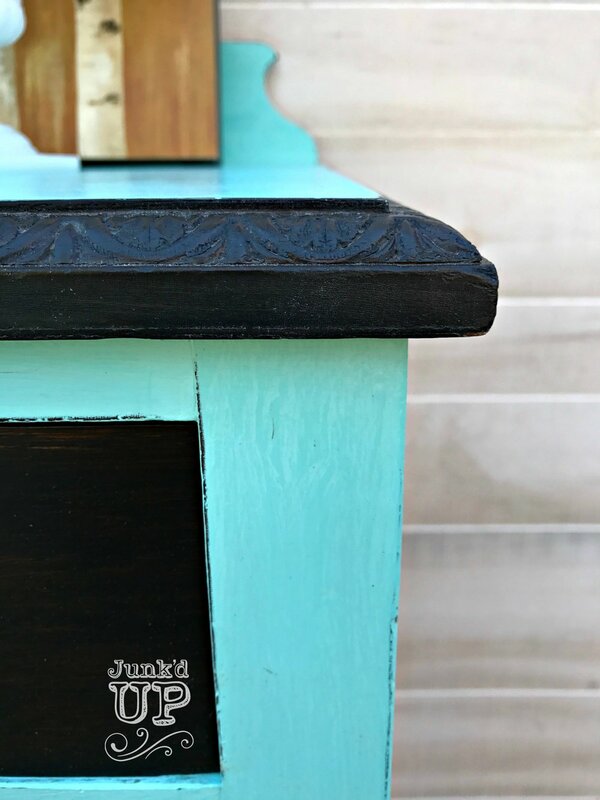 My client fell in love with this soft blue-green finish after noticing it on a dresser we completed. 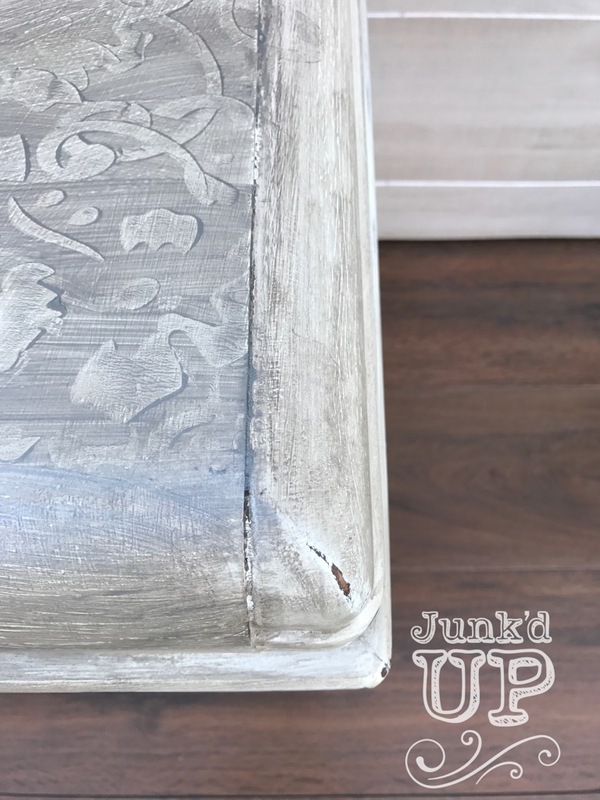 We replicated the finish on her hand-me-down, tired dining set. Now it's the show stopper centerpiece of her home. This client was looking to take a forgotten dresser into the 21st century to be used in an entry foyer. Wanting to keep the palette neutral, she also wanted a little personality. 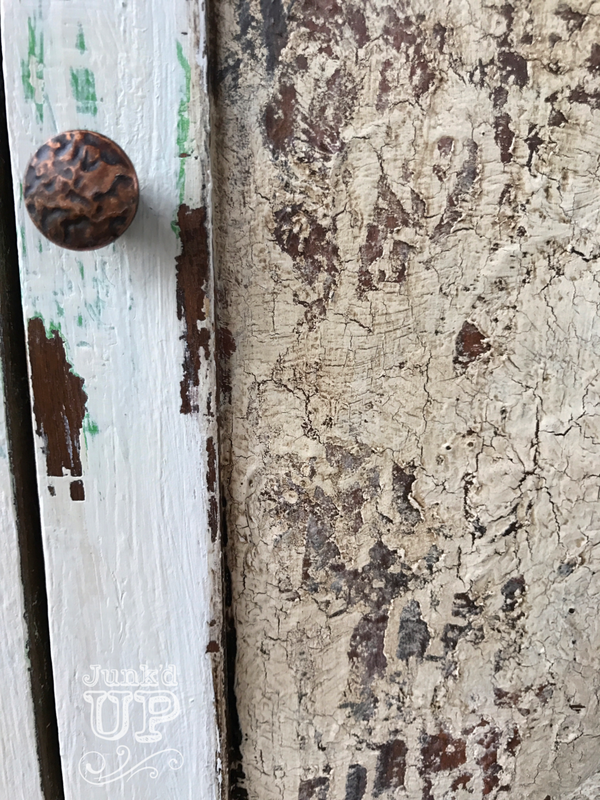 We used a layered paint technique and artful and well placed distressing to breathe life and movement into this piece. Well, Burgundy, if we're being honest. A repeat client spied this piece in our "waiting to be finished" inventory and asked us to do our magic. And magic we did. Now it shines like a gem. When is a stencil not a stencil? When it looks as good as this! Forget those old fashioned stencils of ivy leaves from the 1980's. 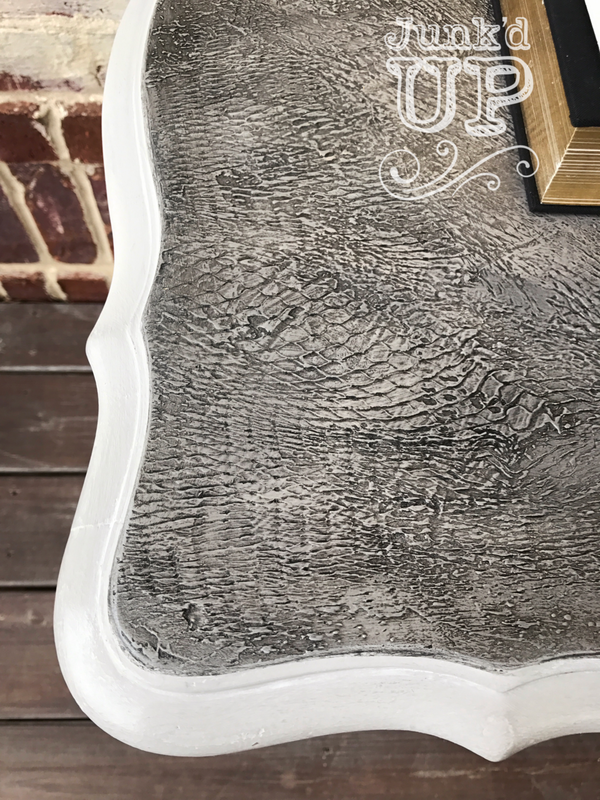 We created a finish resembling hand carved wood using stencils imported from the UK and specialty products. We offer a limited number of one of a kind statement pieces. Shop our available inventory on our Etsy page by clicking here. 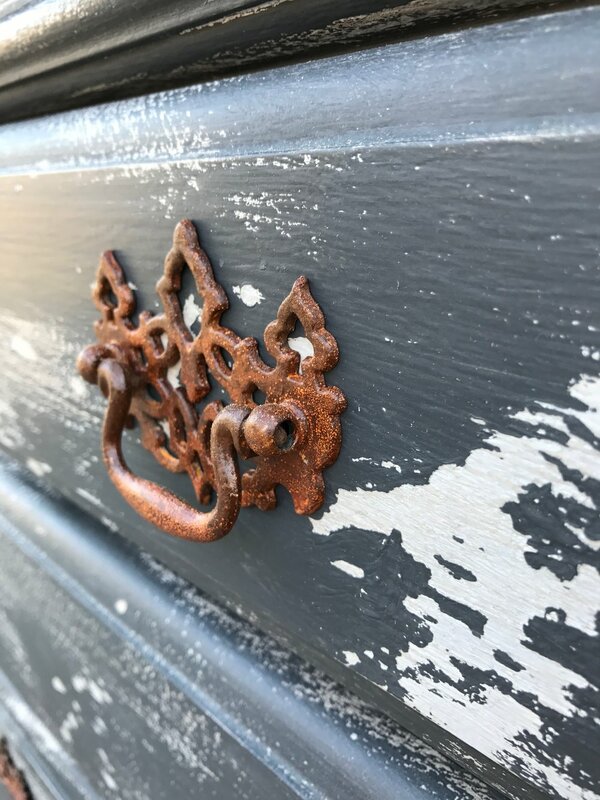 We strive to create new and innovative artisan and bespoke finishes for the discerning consumer looking to bring artistry and adventure into her home. These beauties have found their forever homes. Please browse for inspiration.